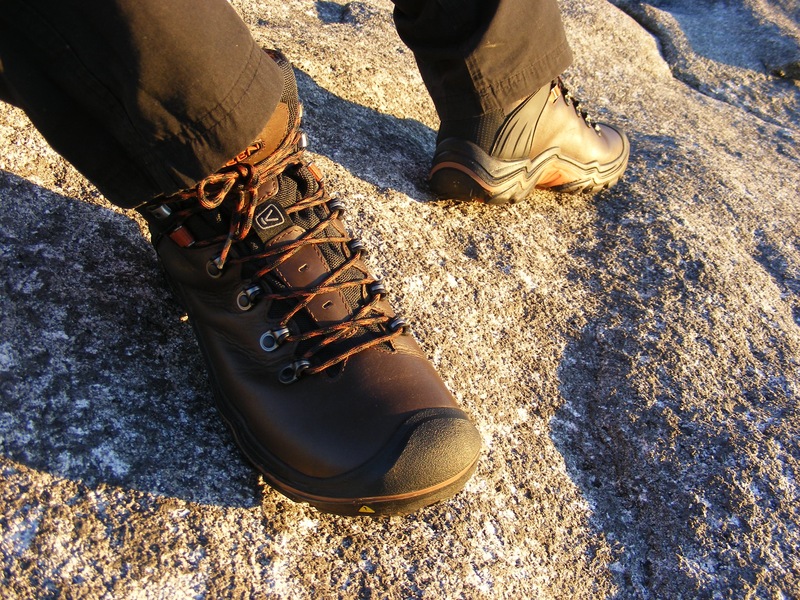 This winter, I was given the opportunity to test a pair of the new KEEN ‘Liberty Ridge’ hiking boots, and I jumped at the chance! The timing was perfect, given that my last pair of boots (The ‘Keen Mid Durand’ previously reviewed on Hikers Blog) needed replacing following my ‘Long Walk North’ trek! After negotiating over 550 miles of Irish tracks, trails and Tarmac roads, the boots were still wearable and waterproof, but the soles, unsurprisingly, had worn down significantly, and I was definitely due a new pair! The marketing blurb for the Liberty Ridge boots states: “If you rack up serious backcountry mileage with a full pack, this is your boot”. 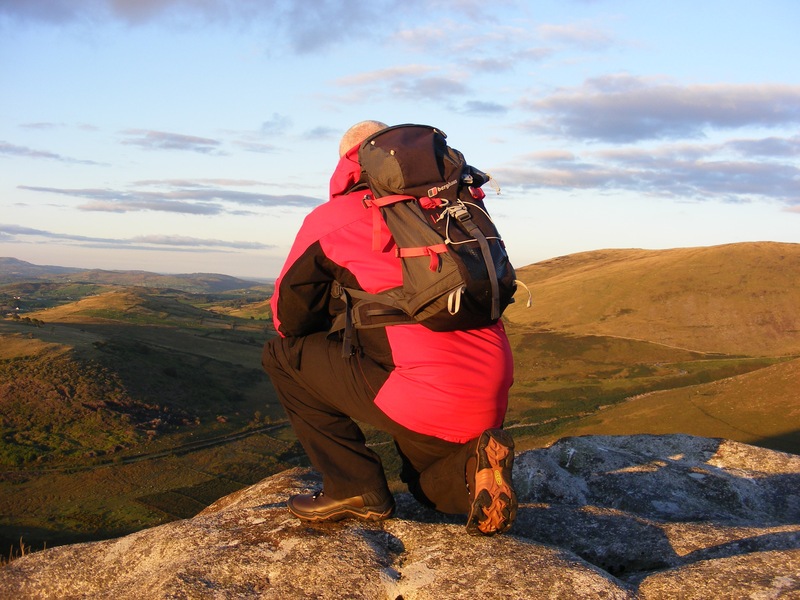 For me, serious backcountry mileage has consisted of various treks in the varied terrain and weather conditions of The Mourne Mountains, with and without heavy packs, but I have given them a thorough testing, and here are my thoughts so far. The Liberty ridge are a quite stiff leather boot, and I was expecting them to require a period of breaking in. As it turned out, the first time I wore them was on a relatively short walk, and although I found them comfortable straight out of the box, they did require a couple of outings before adjusting to my feet. After this initial period of adjustment, I have found them to be comfortable and supportive, and have had no issues with rubbing or pressure points, even on longer hikes. 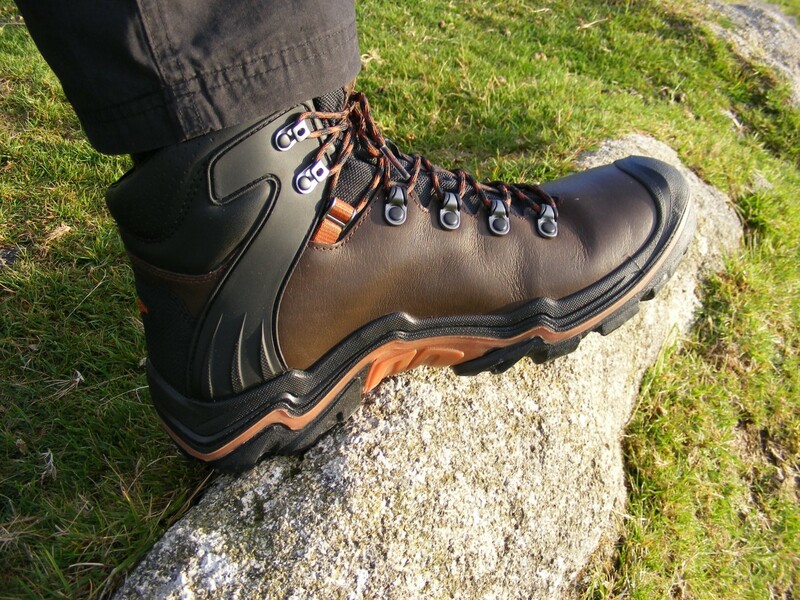 The boots have a comfortable and durable cuff around the ankle, and a stiff, but nicely padded tongue area, which feels comfortable against the front of the foot. There is a durable mesh either side of the tongue to aid with the breathability of the boot, and although I haven’t worn them in the summer yet, I have found the breathability to be very good when wearing them in mild temperatures under exertion. The lacing system is quick and easy, and I have found the laces to be a good length, without being so long as to get in the way. I found the laces to be slightly thinner and stiffer than previous boots, but this hasn’t impacted on their durability thus far. The speed lacing cleats grip the laces nice and tight, ensuring an adjustable snug fit, and I haven’t noticed any issues with them coming undone etc. They are also nicely spaced apart, aiding in ease of lacing, especially when your hands are cold or wet. Two plastic/rubber side supports run from the top 2 cleats either side, to the sole of the boot, adding stiffness, and keeping the ankles nicely supported. The combination of this and the quality leather used in construction provide a good balance, being supportive without being overly restrictive or stiff. 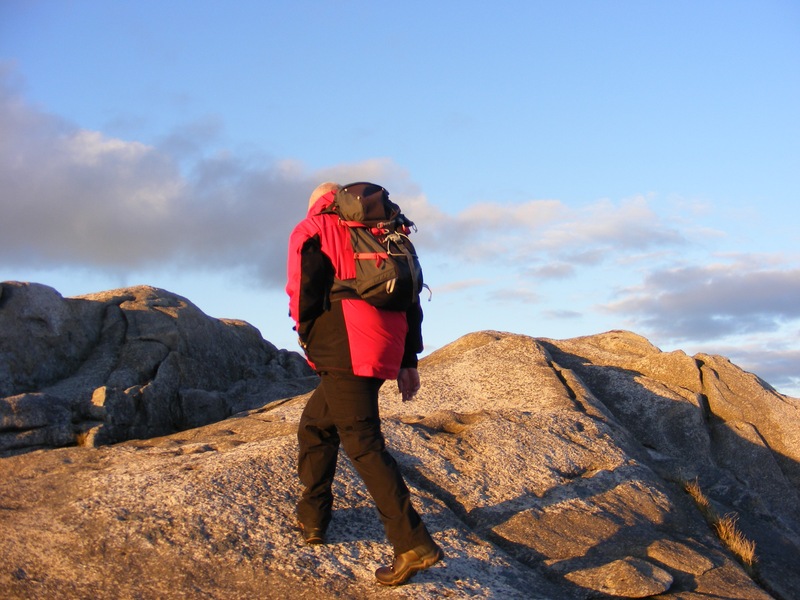 This allows the boot to move with your foot, which is useful over uneven terrain. The heel of the boot has a protective covering sewn across it, running down into the sole, I feel this will again aid in adding to the boots longevity. 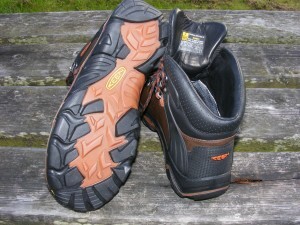 The boots again feature the excellent dual compound rubber outsole. This provides a great balance between a harder compound, providing durability and stiffness, with a softer compound providing more grip, where and when it is required. 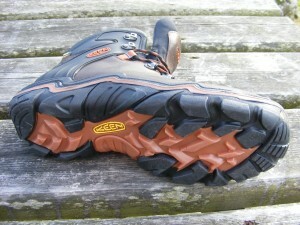 The boots grip excellently in the wet over various terrain, and cope very well with wet rock etc. 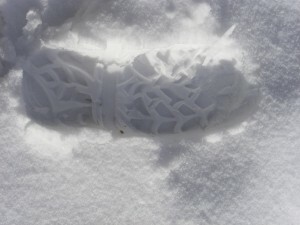 I recently wore the boots on an icy/snowy trek into the mountains, and was very impressed with the grip on both ice and snow. The sole pattern sheds dirt and debris (and snow) very easily, without compromising on traction. 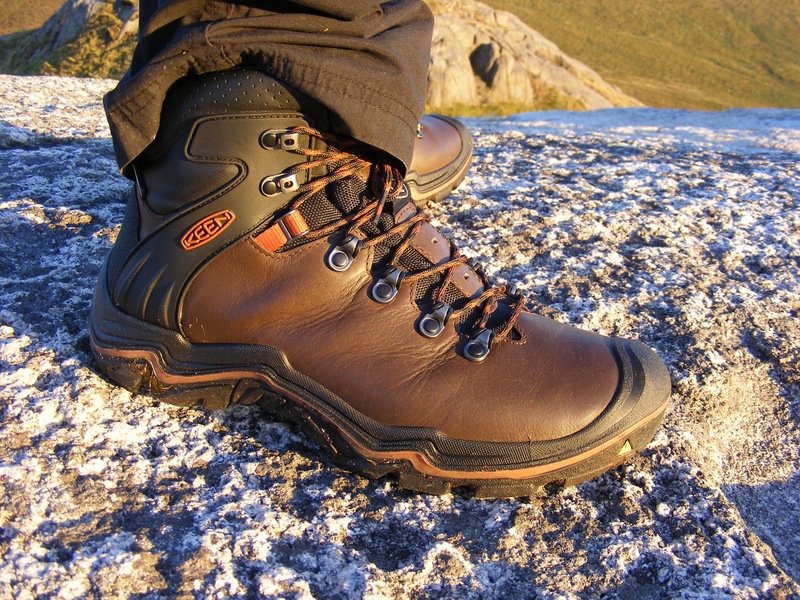 The combination of the full grain leather upper, and the KEEN dry® waterproof membrane have kept my feet dry and comfortable, even under some extremely wet hikes, where some of the trails have been more like streams on occasion! They have also performed well when confronted with soggy ground, with the leather and rubber construction shrugging off the black dirt of the notorious Mourne Mountain bogs. Any residue left at the end of hikes is easily removed with clean water and a soft bristle brush. The manufacturer advises that stains can be treated by lightly rubbing a gum eraser in a circular motion over the location and lightly brushing afterwards. Tough stains can be treated with a mixture of water and a little vinegar on a damp cloth, which may cause slight discoloration to the area. However, I haven’t found the need to do this yet. KEEN boots were previously only made in the USA, but these new ones were made in Europe. I was interested to see if the same high build quality and durability that I was so impressed with in my previous boots would continue, given the change in manufacturing base. I am happy to report, that so far, this seems to be the case! 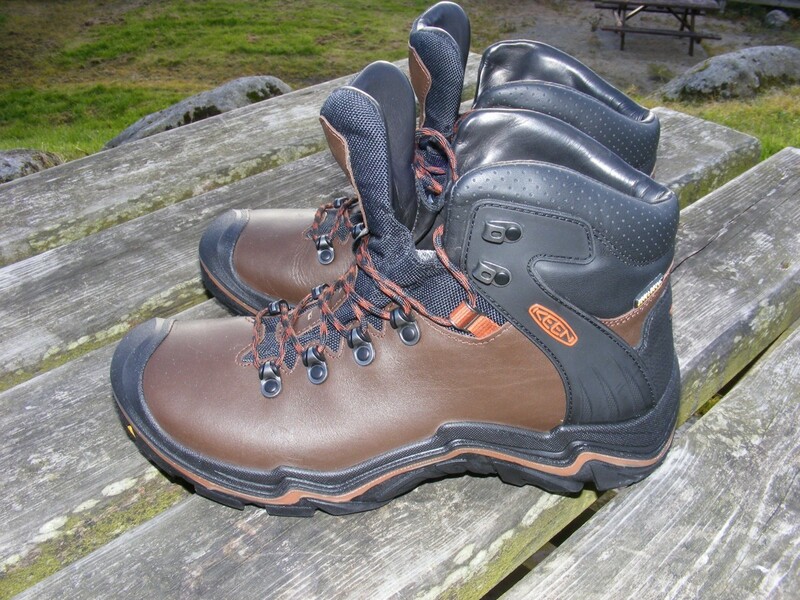 To sum up, if you are looking for a good quality, durable, comfortable boot, at a reasonable price, then you should have a look at the KEEN Liberty Ridge.